Deluxe motorcoach transportation featuring climate control heating & air conditioning system, audio/video system, microphone, restroom and reclining seats. 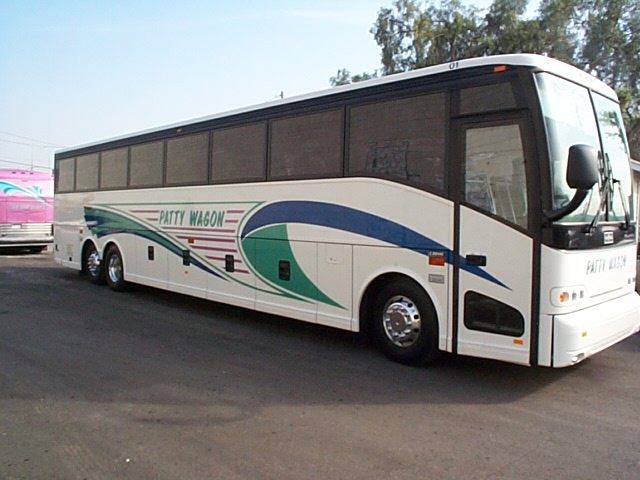 56 - 61 Passenger Motorcoaches available. PUC #TCP11502-A; FMCSA #MC-335988-C; USDOT #736566; SPAB Certified. WE DO CUSTOM TRIPS, DAY TRIPS AND EXTENDED TOURS. Package rates available on a per quote basis. We specialize in customizing trips to meet your needs. Please feel free to make any inquires & we will be happy to work with you to help make your trip affordable. Join the Patty Wagon family... “The Fun Bus”. 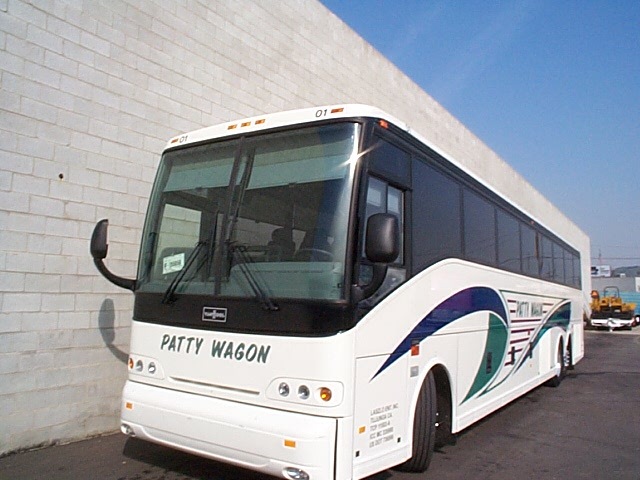 We have Patty Wagon sponsored trips for you to join in. Click on the links to the left and make your reservation for 1 or more persons. ON THE PATTY WAGON BUS... “THE FUN BUS”!